We are bringing Thailand to Darwin for a Full Moon party this Troppo Wednesday! 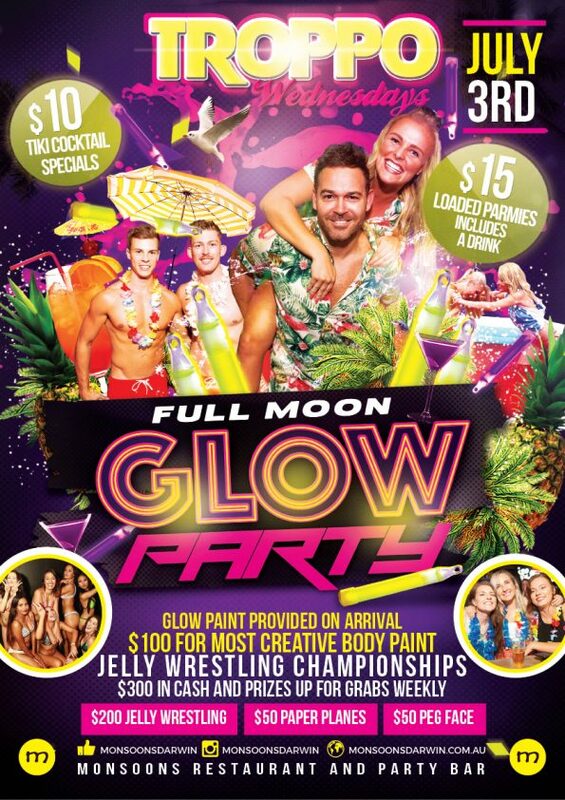 We’ll be providing the glow paint on arrival, $100 prize for the most creative body paint. & of course in true Monnies style, our jelly wrestling championships will be in full swing with $300 in cash & prizes up for grabs. Don’t forget our $10 tiki cocktail specials & $15 loaded parmies & drink to keep the energy up for all the antics. Get around it legends, we’ll see you at the bar!